Motorists travelling along the Makoi and Omkaar stretch in Nasinu should be expecting a slow flow in traffic this month. This follows the implementation of lane restrictions by the Fiji Roads Authority’s contractors working at the site from Monday. FRA Nadi and Suva Road Upgrade Project (NASRUP) Programme Engineer Zaina Khan said this process would hinder traffic flows especially during peak hours of the day. “This is to ensure that our contractors and the public safely have enough space between them to enable the Foam Bitumen stabilization (FBS) work to take place as the work requires the use of heavy machinery,” Ms Khan said. 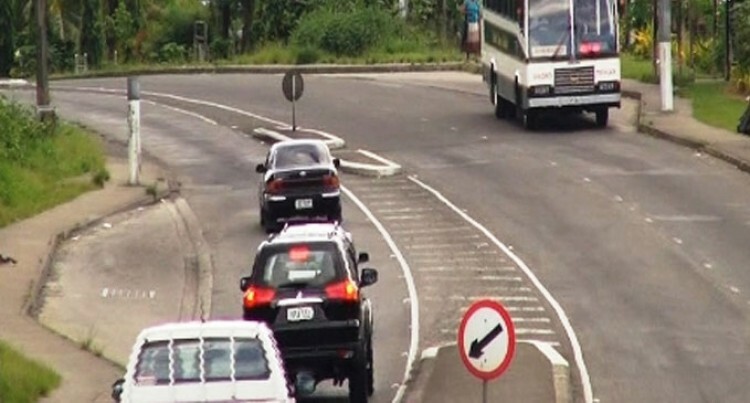 The Fiji Roads Authority advices all motorists and travelers that it would be better now to leave home at least 30 minutes earlier than normal. “In the afternoon during peak hours, we request all motorist to use the main highway, as priority will be given to Nausori bound lanes and not the side roads. “Motorists are reminded to drive at 30km/h through our construction sites to protect the integrity of the newly constructed road surface and remain aware of the crews working between machines and live traffic,” she said. Ms Khan said they were doing all they could to ensure that the work would be completed as soon as possible.